In a world where computers are the backbone of practically every industry, obtaining a degree in Computer Science (CS) or Information Technology (IT) can unlock the door to a wide array of opportunities. Organizations in private, public, governmental, and non-profit sectors are constantly looking for trained experts for tasks like running network systems, managing databases, creating software solutions, and building websites. The U.S. Department of Labor predicts that careers in this field will grow anywhere from 8% for computer programers to 37% for information security analysts by 2022. Moreover, the median annual salaries for positions in this field that require a bachelor’s degree in IT or CS range from $72,500 for network and computer systems administrators to $93,350 for software developers. Needless to say, there is great value in obtaining a bachelor’s degree in CS, IT, or a related subject. Computer science and information technology degrees are among the most popular degrees offered online. Many of the most prestigious and highest ranked colleges and universities in the world have created online programs to meet the increase in demand. Online degree programs have unmatched flexibility allowing for minimal disruption in the lives of students who may need to continue working while working towards a degree. Only regionally accredited colleges and universities listed in the National Center for Education Statistics database and offering online bachelor’s degree programs in Computer Science, Information Technology, or a related subject were considered. Qualifying schools were then evaluated and ranked based on publicly available data related to market reputation, awards and recognition, flexibility, accessibility, and affordability. With confidence, we trust that this Smart Choice ranking of the top online bachelor’s in computer science and information technology will give you a solid foundation as you begin your search for an online undergraduate program that is best for you. Originally established in 1950 as a junior college by the Sisters of Mercy, Mercy College transitioned to a four-year college in 1961. This private, nonsectarian college is in Dobbs Ferry, New York which is 30 minutes from Manhattan. Over 11,600 students are enrolled. Mercy College is accredited by the Middle States Commission on Higher Education. Program Details: Mercy College’s School of Liberal Arts offers an online B.S. in Computer Science (CS) and an online B.S. in Computer Information Systems (CIS). Both degrees are 120 credits. A CIS major will focus on using computers to solve business problems. CS majors focus more on development and design of software. Undergraduate students at Mercy College can expect to pay $8,583.00 per term for 12 or more credits or $722.00 per credit for less than 12 credits. Middle Tennessee State University is a public, comprehensive university in Murfreesboro, Tennessee. Nearly 24,000 students are enrolled in courses at the school. The Commission on Colleges of the Southern Association of Colleges and schools provides accreditation. Program Details: The University College at MTSU offers an online Bachelor of Science in Professional Studies with a concentration in Information Technology. Students enrolled in the B.S. in Professional Studies benefit from learning a wide range of disciplines from quality faculty in many different departments. The IT concentration adds training in the areas of software analysis, database management, data communications, and operating systems. The program is 120 hours and designed primarily for working adults. Positioned in the Blue Ridge Mountains in the town of Lynchburg, Virginia, Liberty University is a private Christian university. Liberty is the largest Christian university in the world, with over 100,000 traditional and online students. The Southern Association of Colleges and Schools Commission on Colleges provides accreditation for the university. Program Details: Liberty University offers online degrees related to computer science and technology out of a few different schools.The College of Engineering and Computational Sciences has an online B.S. in Applied Web Technologies. The School of Business offers an online B.S. in Business Management Information Systems with concentrations like Gaming Technologies, Web Development, and Data Networking, to name a few. Liberty also offers a B.S. in Informatics and a B.S. in Information Technology with specializations in Application and Database Development, Data Networking and Security, Gaming Design, and Web Development. The degrees are $360 per credit and 120 hours in length. In 2012, the University System of Georgia’s Board of Regents voted to combine Middle Georgia College (est. 1884) and Macon State College (est. 1968) to form Middle Georgia State College. Nearly 8,000 students are enrolled in the college. There are five Georgian campuses in the towns of Macon, Cochran, Dublin, Eastman, and Warner Robins. Middle Georgia State College is accredited by the Southern Association of Colleges and Schools Commission on Colleges to award associate and baccalaureate degrees. Program Details: Middle Georgia State College’s School of Information Technology offers an online Bachelor of Science in Information Technology. The degrees offers the following concentrations: Information Assurance & Security, Network Technology and Administration, Software Development, Gaming Design & Development, Integrated Digital Media, and Digital Forensics. Tuition and fees depend upon the number of credits a person is taking. The cost ranges from $126.40 to $298.67 per credit for residents of Georgia and $395 – $567 per credit for non-residents. Rogers State University is a public university with a main campus in Claremore, Oklahoma and other branches in Bartlesville and Pryor Creek. Nearly 4,500 students are enrolled in the university. Accreditation is provided by the Higher Learning Commission of the North Central Association of Colleges and Schools. Program Details: The School of Business and Technology houses several 100% online undergraduate options for those interested in technology. Students can earn an A.S. in Computer Science, an A.A.S. in Applied Technology, a B.T. in Applied Technology, and a B.S. in Business Information Technology. The B.S. program is 124 credits offers a specialization in Software Development & Multimedia as well as a specialization in Computer Network Administration. The B.T. program is a completion degree that requires an Associate in Applied Science for admission. Students enrolled in the B.T. program have the option of specializing in Renewable Energy Management. Launched by the Sisters of Mercy in 1912, Saint Josephs College is a private, Catholic school in Standish, Maine. The campus sits on 350 gorgeous acres along the shore of Sebago Lake. Approximately 1,600 students are enrolled in courses at the college. Saint Joseph’s College is accredited by the New England Association of Schools & Colleges. Program Details: The college offers an online Bachelor of Science in Information Technology (BSIT) that is 128 hours. The courses are twelve weeks in length. Students are required to be enrolled in at least one course in three of the four terms offered each year.No on-campus residency is required for this program, maximizing the flexibility. Students work one-on-one with faculty to ensure academic success. Tuition is $374 per credit for the online BSIT program. Program Details: The Klipsch School of Electrical and Computer Engineering offers an online Bachelor of Information and Communication Technology (ICT). The ICT program is 128 credits but students must enter into the program with 62 applicable credits. Graduates can expect to be competent in computer hardware, application and operating systems software, system integration, database design and management, networking, and network security. Tuition and fees for the online undergraduate program is approximately $3,286.50 for residents of New Mexico who are taking 15 credits. The rate for a non-resident in the same situation is approximately $10,329.00. Park University is an independent, non-profit private institution of higher education. The flagship residential campus is in Parkville, Missouri. The university also holds courses out of 42 centers in 21 states and online. Nearly 18,800 students are enrolled in programs at the university. Park is accredited by the Higher Learning Commission and is a member of the North Central Association of Colleges and Schools. Program Details: The university has an online B.S. in Computer Information Systems and an online B.S. in Information and Computer Science (ICS). Students enrolled in the ICS program can specialize in computer science, software engineering, data management, or networking and security. Online courses are facilitated in accelerated, eight-week terms that start five times each year: January, March, June, August & October. Tuition is $385 per credit. Cal State Monterey Bay is located in Seaside, California. Nearly 5,800 students are enrolled in courses at the school. Accreditation is provided by the Western Association of Schools and Colleges, Senior College and University Commission. Program Details: The College of Science at Cal State Monterey Bay offers a 120 credit online B.S. in Computer Science and Information Technology (CSIT) degree. The online B.S. degree is a blend of computer science theory and practical information technology. This is a completion degree which requires students to have 60 or more applicable credits before starting the program. The cost for one semester unit in the CSIT is $500 per unit. Most of the courses in the program are four units. Oregon State University is located in the lush Pacific Northwest town of Corvalis, Oregon. This publicly funded land, sea, and space grant university has nearly 28,000 students enrolled. The Northwest Commission on Colleges and University provides accreditation for undergraduate and graduate degrees. Program Details: The renown School of Electrical Engineering and Computer Science at Oregon State offers a unique online post-baccalaureate B.S. in Computer Science. This degree is specifically designed for students who want to merge their undergraduate degree with another one focused on topics including, but not limited to, software engineering, computer systems, and web development. The degree can be completed in one year, two years, three years, or four years, depending on the needs of the students. Cost per credit is $461. Strayer University is a for-profit university that has been providing educational services for working adults for 120 years. Courses are offered at campuses in 16 states and the District of Columbia as well as online. The university is accredited by the Middle States Commission on Higher Education. Program Details: The university offers online A.S. and B.S.degrees in Information Systems and Information Technology. The school also has online M.S. degrees in Information Systems and Information Assurance. The B.S. in IT has nine concentrations in areas like programming, networking technology, mobile programming, and security. The B.S. in Information Systems has eight concentrations such as homeland security, IT project management, and GIS management. Chartered in 1888, Salem International University is a private, for-profit school in Salem, West Virginia. The institution was closely associated with the Seventh Day Adventist church but has never been sectarian in administration or teaching. SIU is accredited by The Higher Learning Commission (HLC) and is a member of the North Central Association. Program Details: Salem International has an accelerated B.S. in Computer Science that can be completed in 40 months. The program is offered online and has two concentrations: software development and data science. SIU also has an accelerated B.S. in Information Technology. The IT program covers foundational information technology principles such as computer graphics, programming, internet publishing and beyond. Program Details: The university has been offering distance education for working adults since the 1970’s. The School of Science and Mathematics offers an online B.S. in Information Technology and an online B.S. in Information Systems. The .B.S. degree is 100% online. In total, the degree is 120-credits. Online courses at Upper Iowa are offered in an accelerated manner with six, 8-week terms each year starting in August, October, January, March, May, and July. Students can start the program in any term throughout the year. Tuition for online programs at UIU is $340 per credit ($40,800 for 120 credits). Program Details: UMass online offers nearly 10 online programs in computer science and IT. UMass-Dartmouth offers an online M.S. in Computer Science. UMass-Lowell offers a few online certificates as well as online IT degrees at the associate’s, bachelor’s, and master’s levels. The online B.S. in IT is 120 credits and has an optional business minor. Tuition for the B.S. program is $365 per credit. Established in 1932, Southern New Hampshire University has grown to offer a large variety of degrees on their campus in Manchester, NH, at regional campuses, and online. Currently the private, nonprofit school has nearly 33,000 students enrolled. Accreditation is provide by the New England Association of Schools and Colleges (NEASC) through its Commission on Institutions of Higher Education (CIHE). Program Details: Southern New Hampshire University has a wide spread of options for students interested in information technology. The online offering includes three tech related M.S. degrees with many specializations, two MBA programs with IT specializations, and an MEd in Technology Integration Specialist. The online undergraduate IT options are even more plentiful. The school has three online B.A. programs in IT related fields, as well as five online B.S. programs with over 10 specializations combined. Noteable online programs include a B.S. in Game Programming and Development, a B.A. in Graphic Design and Media Arts with an emphasis in Web Development, and a B.S. in IT with an emphasis in Robotics and Artificial Intelligence. Program Details: The College of Technology has an online B.A.S. in Technology and an online B.S. in Technology Management. The school also offers online M.S. degrees in Electronics and Computer Technology and Technology Management as well as an online PhD in Technology Management. Both online bachelor’s degrees are completion programs which means that only students who have completed an A.A.S. from a regionally accredited school can be admitted. The B.A.S. program has a variety of specialties including, but not limited to, electronics engineering technology, human resource development, and mechanical engineering technology. The University of Maryland University College has been providing distance education for students around the world for over 65 years. The public, state university with a headquarters in Adelphi, Maryland has around 85,000 students enrolled globally. Accreditation is provided by the Middle States Commission on Higher Education. Program Details: The university offers a wide variety of online programs in IT and computer science. The school has online M.S. degrees in Cybersecurity, Cybersecurity Policy, Data Analytics, Digital Forensics and Cyber Investigations, Health Administration Informatics, and Information Technology. UMUC also offers online B.S. programs in Computer Networks and Security, Computer Science, Cybersecurity, Digital Media and Web Technology, Information Systems Management. and Software Development and Security. The B.S. degrees are 120 total credits and have a tuition of $31,920 for Maryland residents and $59,880 for non-residents. Instituted in 1993, Capella University is a for-profit institution with a headquarters in Minneapolis, Minnesota. Approximately 34,000 students are enrolled. Capella is accredited by the Higher Learning Commission (HLC) and is a member of the North Central Association of Colleges and Schools. Program Details: The School of Business and Technology at Capella offers 100% online programs at the bachelor’s, master’s, and doctoral levels. Students can get a B.S. in Information Technology with an emphasis in health information, project management, assurance & security, or they can simply get a general IT degree. The online graduate programs include an M.S. in Information Assurance & Security with two focus areas, an M.S. in Information Systems and Technology Management with three focus areas, an MBA with an emphasis in IT Management, and a PhD in Information Technology with four focus areas. The B.S. programs are 180 quarter-credits and cost between $321 and $371 per credit. Champlain College is a private, not-for-profit college that was founded in 1878. Based in Burlington, Vermont, the college has around 3,300 students enrolled. Accreditation is provided by the Commission on Institutions of Higher Education of the New England Association of Schools and Colleges. Program Details: Students who want to pursue a degree in computer science or IT can choose among four online undergraduate degrees and one graduate degree. The 100% online degrees include a 36-credit M.S. in Managing Innovation & Information Technology and B.S. degrees in Computer & Information Systems, Management Information Systems, Software Development, and Web Design. The B.S. courses last seven weeks long to help expedite the education process. Northeastern University in Boston, MA has grown into a comprehensive research university with an international reputation. The university has approximately 20,000 students enrolled. Accreditation is provided the Commission on Institutions of Higher Education of the New England Association of Schools and Colleges. Program Details: Program Details: The College of Computer and Information Systems at Northeastern University offers online Internet Technology degrees at both the bachelor’s and master’s level. Online bachelor’s degrees are available in Information Technology and Operations Technology. Online Master’s degrees are available in Geographic Information Systems, Information Assurance, Project Management, and Technical Communication. The B.S. programs are 160 quarter-credits and cost $369 per credit. In 1973 City University of Seattle was founded to provide exceptional higher education for working adults. Though the flagship campus is in Seattle, Washington, CityU offers more than 60 degrees and certificates at 28 locations around the world. This not-for-profit university is accredited by the Northwest Commission on Colleges and Universities. Program Details: The Institute of Technology at CityU offers four online degrees. Graduate students can choose a 45 credit, online M.S. in Computer Systems or a 48 credit, online M.S. in Information Security. Undergraduate students can complete a 180 credit, online B.S. in Computer Systems or a 180 credit, online B.S. in Information Systems. Note that the school is on the quarter system. The B.S. in Computer Systems program is based on certificate programs for Cisco Certified Network Associate (CCNA), Microsoft Certified Systems Engineer (MCSE) and Certified Information Systems Security Professional (CISSP). Duquesne University is a private, Catholic University located in Pittsburgh, Pennsylvania. Nearly 10,000 students are enrolled in the school. Accreditation is provided by Middle States Commission on Higher Education. Program Details: The School of Leadership and Professional Advancement at Duquesne has a 100% online Bachelor of Science in Computer Systems Technology. The program consists of a blend of courses in information system design, computer systems, information technology and programming. Tuition and fees for the program are $787 per credit. Founded in 1906, Pace University is a private university with campuses in New York City and Westchester County. The school has nearly 13,000 students enrolled. The Middle States Commission on Higher Education provides accreditation. Program Details: Pace’s Seidenberg School of Computer Sciences and Information Systems offers an online Doctor of Professional Studies in Computing, an online Master of Science in Internet Technology, and an online Bachelor of Science in Technology Studies. Students enrolled in the B.S. program can either specialize in Computer Forensics or Telecommunications. The tuition for the B.S. is $535 per credit. The University of Phoenix is a for-profit university with a headquarters in Phoenix, Arizona. The school offers classes online and on campuses all over the United States. Regional accreditation is provided by the Higher Learning Commission. Program Details: The College of Information Systems and Technology has four online degrees: an A.A. in IT, a B.S. in IT, a Master of IT, and a Doctor of Management with an emphasis in Information Systems and Technology. The B.S. program is 120 credits total. Students enrolled in the program can choose to get a certificate in one of ten areas. The bachelor’s certificates include areas such as Cisco Networking, Advanced Business Analytics, Healthcare IT, and Advanced Multimedia Development. Tuition for the B.S. program runs from $410 per credit to $610 per credit, depending on the level. Kaplan University was founded in 1937 as the American Institute of Commerce in the town of Davenport, Iowa. In November of 2000 the organization was acquired by Kaplan, Inc. and became Kaplan College. With the introduction of graduate courses in 2004, the school became Kaplan University. Today the for-profit university has nearly 45,000 students enrolled and is regionally accredited by the Higher Learning Commission of the North Central Association of Colleges and Schools. Program Details: The university has seven online certificate programs in a technology related field, an online A.A.S. in IT, an online B.S. in IT, and an online M.S. in IT. The Bachelor of Science in Information Technology is a 180 quarter-credit degree with four areas of focus: Database Management, Information Security and Assurance, Multiplatform Software Development, and Network Administration. Tuition is for the B.S. is $371.00 per credit or $66,780.00 for the entire degree. Thomas Edison State College is a public college located in Trenton, New Jersey. Nearly 21,000 students are enrolled in programs at the college. Accreditation is provided by the Middle States Commission on Higher Education. Program Details: The college has a variety of online programs for those interested in computer science and information technology. The school has an online B.S. in Applied Science Technology in the following areas: Informations Technology, Electronics Systems Engineering Technology, Energy Systems Technology, Nuclear Energy Technology, and Technical Studies. Thomas Edison also offers an online B.A. in Computer Science and a B.S. in Business Administration with an emphasis in Computer Information Systems. Undergraduate students from New Jersey pay $407 per credit. All other undergraduate students pay $491 per credit. Since 1998 Trident University International has been providing quality distance education. This for-profit university has around 7,000 students enrolled and has a headquarters in Cypress, California. Trident University is accredited by the Senior College and University Commission of the Western Association of Schools and Colleges (WASC). Program Details: The College of Information Systems at Trident University International offers three degree programs that are 100% online. The school has a B.S. in Computer Science (BSCS), a B.S. in Information Technology Management (BSITM), and an M.S. in Information Technology Management. The BSCS degree has two concentrations: Cyber Security and Network Administration. The BSITM degree and has three concentrations: Business Systems Analysis, Information Security, and IT Project Management. Both B.S. programs are 120 credits and have a tuition of $350 per credit. Program Details: The College of Science at Old Dominion has a 120 hour online Bachelor of Science in Computer Science and an online Master of Science in Computer Science. The Frank Batten College of Engineering & Technology offers a 127 hour online B.S. in Engineering Technology with a Computer Engineering Technology specialization as well as a Master of Engineering in Electrical and Computer Engineering. Both B.S. programs are completion degrees. Tuition at Old Dominion is $299 per credit hour for residents of Virginia ($35,880 for 120 credits) and $314 per credit hour for non-residents. ($37,680 for 120 credits). Limestone College is a private, Christian, liberal-arts school in Gaffney, South Carolina. The school has around 3,300 students enrolled. The Commission on Colleges of the Southern Association of Colleges and Schools provides accreditation for the Limestone. Program Details: The college has three online associate’s degrees in computer science and an online Bachelor of Science in Computer Science. Students enrolled in the B.S. in Computer Science can specialize in Computer and Information System Security, Information Technology, Programming, and Web Development and Database. Online courses at Limestone are in an accelerated format. Students take one class at a time for eight weeks. Tuition for online classes is $390 per credit. Florida State University is a public research university with a campus in the state of Florida’s capital city, Tallahassee. The school has nearly 41,000 students enrolled. The Commission on Colleges of the Southern Association of Colleges and Schools provides accreditation. Program Details: Florida State has an online B.A. in Computer Science and an online B.S. in Computer Science. In both degrees students can expect to become proficient at programming in C, C++, and Assembly Language. Furthermore, students will be exposed to languages such as Java, C#, Ada, Lisp, Scheme, Prolog, Perl, and HTML. The computer science degrees are 120 credits and designed for part-time study. Online students are assigned academic mentors to help ensure they stay on track for academic success. K-State is a public research university with a main campus in Manhattan, Kansas and extension campuses in Salina and Olathe. Nearly 25,000 students are enrolled in the university. Accreditation is provided by Higher Learning Commission (HLC) of the North Central Association (NCA) of Colleges and Schools. Program Details: The College of Technology and Aviation at Kansas State has a Bachelor of Science in Technology Management completion program. This degree combines a technical area of concentration (such as computer systems technology, digital media, or electronic and computer engineering technology) with advanced business courses. Students must be able to transfer 39-45 hours of a core concentration of coursework in order to complete the program. The degree requires a minimum of 124 hours including the courses transferred into the program. Franklin University is a private, non-profit university in Columbus, Ohio that has been offering quality higher education since 1902. Over 6,200 students are enrolled in courses at the school. The Higher Learning Commission provides accreditation for the degree programs. Program Details: The College of Arts, Sciences, and Technology at Franklin University has an online bachelor’s degrees in Computer Science, Information Security, Information Technology, Social Media Design, Interactive Media Design, Management Information Systems, and Web Development. The online master’s degree offering includes an M.S. in Computer Science. Online students are assigned an academic advisor for one-on-one support whenever it is needed. Tuition for undergraduate degrees at Franklin University ranges from $464 per credit to $511 per credit. Program Details: The school’s Online College of Information Technology offers just under 10 online programs. The degrees include a B.S. in Information Technology with three specializations, a B.S. in Software Development, a B.S. in Health Informatics, an M.S. in Information Security & Assurance, an M.S. in Information Technology Management, and an MBA with an Information Technology Management emphasis. The programs are 100% online. The B.S. degrees take 2-5 years depending on how many credits a student transfers into the program. Basic tuition costs $2,890 per six-month term. Program Details: The School of Science, Technology, Engineering, and Math has over two dozen online programs in technology and computer science. Students can complete an online M.S. in Information Technology (IT), a B.S. in IT, a B.S. in IT Management, and a B.S. in Cybersecurity. The undergraduate degrees take many students four years to complete but students have up to 10 years if their schedule demands a slower pace. The B.S. programs are 122 credits and $250 per credit. Saint Leo University is a private Roman Catholic liberal arts university with over 16,000 students enrolled from all 50 states and from more than 60 countries. The university is located in Saint Leo, Florida. Accreditation is provided by the Southern Association of Colleges and Schools Commission on Colleges. Program Details: The university has an online Bachelor of Science in Computer Information Systems that is 120 hours. The degree explores areas including, but not limited to, JAVA, information security, database programming, IT, and project management. All Saint Leo University students have access to free online tutoring which is available 24/7. Tuition for online associate and bachelor degrees is $470 per credit. 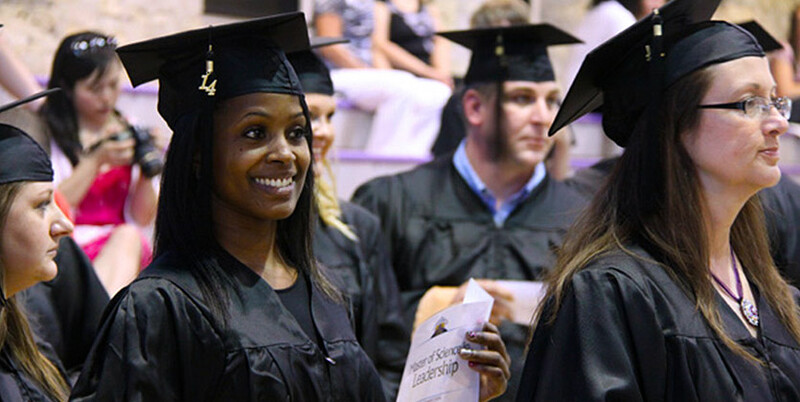 Since 1966 Bellevue University has been providing higher education for professionals looking for career growth. This a private, not-for-profit university has a headquarters in Bellevue, Nebraska. Nearly 10,000 students are enrolled. The Higher Learning Commission of the North Central Association of Colleges and Schools provides accreditation. Program Details: Bellevue University has over 20 online undergraduate and graduate degree programs in science and technology. Notable online programs include a B.S. in Software Development, a B.S. in IT, a B.S. in Web Technologies, and an M.S. in Computer Information Systems. The tuition for online B.S. programs at Bellevue range from $325 per credit to $385 per credit. Southeast Missouri State University is nestled near the banks of the Mississippi River in Cape Girardeau, Missouri. The university also has regional campuses located in Sikeston, Malden, Kennett and Perryville. Approximately 12,000 students are enrolled in the university. The Higher Learning Commission of the North Central Association of Colleges and Schools provides accreditation. Program Details: The College of Science, Technology, and Agriculture offers three online degree options for those interested in the field of computer science and technology: an online M.S. in Technology Management, an online B.S. in Technology Management, and an online B.S. in Computer Information Systems. The B.S. in Technology Management is a completion degree which requires that students have a regionally accredited A.A.S. degree in a technology-related area or a certain combination of work experience and certifications in order to be admitted to the program. Check with an admissions counselor to see if you qualify for the program. Tuition for undergraduate degrees at the university is $231.25 per hour for residents of Missouri and $409 per hour for non-residents. Affiliated with the United Methodist Church, Southwestern College is a private school in Winfield, Kansas. The college was founded in 1885 and has approximately 1,600 students enrolled. Accreditation is provided by the Higher Learning Commission. Program Details: Southwestern College offers two online computer science related undergraduate degrees out of their office of Professional Studies. The degrees are a B.S. in Computer Programming Technology and a B.S. in Information Systems Management. The Computer Programming program focuses on software development while the Information Systems degree focuses on implementing and managing systems as well as the administrative skills required to do it well. The Information Systems program has three specializations: security, enterprise systems, and data management and decision support. Both degrees are 124 credits and have a tuition of $427 per credit. Program Details: The College of Education and Technology at Fort Hays has three online B.S. programs relating to technology and an M.S. in Instructional Technology. The online B.S. offerings include a B.S. in Information Networking and Telecommunications with two specializations (web development and computer networking/telecommunications) and a B.S. in Technology and Leadership. The Technology and Leadership degree is considered a “Workforce Baccalaureate” because it is crafted for students who already have an Associates of Applied Science. Columbia College has 36 campuses nationwide and a main campus in Columbia, Missouri. This nonsectarian co-educational private college has more than 29,000 students enrolled annually. Accreditation is provided by the Higher Learning Commission and the school is a member of the North Central Association. Program Details: The Computer and Mathematical Sciences Department at Columbia College has an online A.S. in Computer Information Systems, an online B.S. in Computer Information Systems, and an online B.S. in Management Information Systems. The online B.S. programs are 120 credits and include a few business courses. Each class lasts eight weeks to minimize the number of classes a student must take at a time and maximize the student’s ability to focus on content matter. Online tuition for undergraduate degrees is $290 per credit. Founded in 1855, Pennsylvania State University is located in University Park, PA. The university is regularly ranked highly on lists for online degrees. Nearly 14,000 students are enrolled in online degree programs at the school. The Middle States Commission on Higher Education provides accreditation. Program Details: Penn State has more than 100 highly ranked degree programs online and more than a dozen online programs in the field of technology. The undergraduate programs consist of four certificates, one associate degree and two Bachelor of Science degrees. The undergraduate degrees in Information Sciences and Technology and Security and Risk Analysis are offered in partnership between Penn State World Campus and the Penn State College of Information Sciences and Technology. The Bachelor of Science programs are 120-125 credits and have a tuition rate of $535 to $579 per credit hour. Program Details: The Department of Computer Science offers the following online degrees: a B.S. in Computer Science, a B.S. in Computer Science Information Systems Security, and an M.S. in Computer Science. The B.S. programs are 120 hours in length. The following prerequisites are required for the B.S. programs: two semesters of Java Programming Experience and one semester of Calculus, Discrete or Finite Math, and statistics. Program Details: The university offers an online B.S. in Information Technology Management (IT), an online B.S. in Management Information Systems (MIS), and an online B.S. in Cyber Forensics/Information Security. The IT program and the Cyber Forensics program are completion degrees. Thus, students must have an associate of science degree in a computer-related fields to enter into those programs. The online MIS program is an all-purpose degree including programming and hardware management. Tuition and fees for undergraduate degrees at Keiser are around $16,300 per year according to the National Center for Education Statistics. Considered to be Michigan’s largest private, not-for-profit college, Baker College has around 15 campuses in Michigan. The school also offers many programs online. The Higher Learning Commission provides accreditation for the degree programs. Program Details: Baker College offers nearly 20 online certificates and degrees in the computer and technology field. The online graduate programs include an M.S.I.S. in Information Systems and an M.S.I.S. in Business Intelligence. The online undergraduate programs include a Bachelor of Computer Science (B.C.S. ), a B.C.S. in Game Software Development, a B.C.S in Mobile Application Software Engineering, and a Bachelor of Information Systems. Online classes at Baker are generally six weeks in length. Online undergraduate courses are $230 per hour. Established in 1881, Dakota State University is a public, technology centered university that offers a wide spread of degree programs. The main campus is in Madison, South Dakota. Slightly over 3,100 students are enrolled in the university. Accreditation is provided by the Higher Learning Commission. Program Details: Dakota State has many flexible online programs for students who are interested in a career in computer science and technology. The online graduate options include programs like an M.S. in Information Systems, an M.S. in Applied Computer Science, and a D.Sc. in Information Systems. Undergraduate graduate students can pursue online degrees such as a B.S. in Computer Science, a B.S. in Information Systems, and a B.S. in Network and Security Administration. Online undergraduate tuition costs $312.90 per credit. Check out the distance education portion of Dakota State University’s website for a full list of online degree programs. Murray State is a public university in located in Murray, Kentucky. Nearly 11,000 students are enrolled in programs at the university. The Southern Association of Colleges and Schools Commission on Colleges provides accreditation. Program Details: The university offers online degrees in technology related fields out of the Jesse D. Jones College of Science, Engineering and Technology as well as the Arthur J. Bauernfeind College of Business. The online graduate degrees include an M.S. in Information Systems and an M.S. in Telecommunications Management. The online undergraduate options include a Bachelor of Science in Business with an emphasis in Computer Information Systems and a B.S. in Telecommunications Systems Management. The B.S.B. in Computer Information is focused on business software whereas the B.S. in Telecom degree is focused on technology infrastructure in the business environment. Online undergraduate tuition at Murray State is $388 per credit hour. Program Details: The College of Computer and Information Sciences offers many online options for students interested in the field of computer science and information technology. Undergraduate students can pursue online B.S. degrees in the following areas: Business Technology Management, Computer Information Systems, Computer Networking, Computer Science, and Health Information Management. Graduate students looking for online programs have eight options such as an M.S. in Software Engineering and an M.S. in Data Sciences. Tuition for the online undergraduate programs is $460 per credit. Located in Klamath Falls, Oregon, Oregon Institute of Technology is one of seven universities in the Oregon University system. The school has approximately 4,400 students enrolled. Accreditation is provided by the Northwest Commission on Colleges and Universities. Program Details: Oregon Tech has a Bachelor of Science in Information Technology that can be completed 100% online. Students can specialize in one of three areas: Applications Development, Business/Systems Analysis, and Health Informatics. Online courses at Oregon Tech tend to be taught in an asynchronous manner for 10 week sessions. Each course ends with a final exam. Tuition for online courses at Oregon Institute of Technology costs $220 per credit regardless of a student’s home state. Western Kentucky University has nearly 21,000 students are enrolled in undergraduate and graduate studies. The main campus of this public university is in Bowling Green, Kentucky. The Southern Association of Colleges and Schools Commission on Colleges provides accreditation for the university. Program Details: WKU generally has highly rated online bachelor programs. Undergraduate students can pursue a Bachelor of Science in Computer Information Technology 100% online or as a 2+2 completion degree. The 100% online program is 120 hours and requires no minor or second major. The 2+2 program is for students who already have the equivalent of an Associate of Applied Science. 2+2 students must complete a minimum of 36 hours at WKU in order to be awarded with the BS degree.